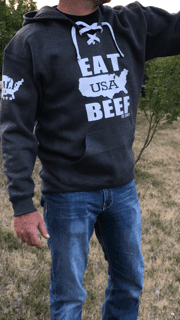 Show pride for USA raised BEEF with this charcoal gray, “EAT USA BEEF” sweatshirt…perfect for the cool ranch mornings or chilly bonfire nights. 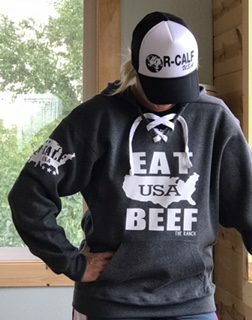 These are a unisex fit and are super soft. 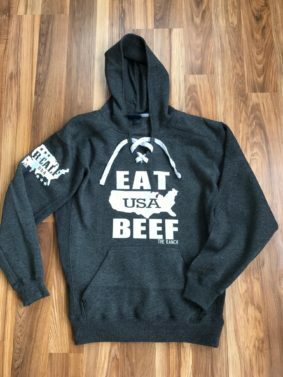 Everybody needs this hoodie!